Call Our Office for a Free Quote Today! For quality, professional air duct cleaning service in Las Vegas, look no further than Cool Breeze LV, LLC..
Is your house immaculate, yet you’re still experiencing allergy symptoms? Quite frequently, the most overlooked household chore is cleaning your ducts, ceiling fans, and dryer vents. When air vents aren’t kept clean, the result is a buildup of dust particles, pollen, mold, dust mites, and more. Debris can contaminate your vents and release these particles through the air system. To ensure that your air quality is top notch, cleaning air conditioning and furnace systems should be part of your regular maintenance plan. At Cool Breeze LV, LLC., you can have your air vents cleaned by professional, friendly technicians. 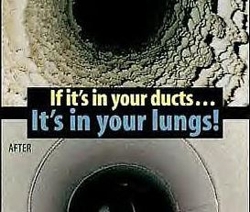 We provide the highest quality air vent cleaning to the Las Vegas area. With our professional cleaning services, you can be confident that your air and dryer vents will receive the care they need. You’ll be keeping your home safe from harmful air pollutants and vent fires. Having clean air ducts in your home improves your indoor air quality and ensures that your heating and cooling systems don’t become overworked. Copyright © 2018 coolbreezelv.net All rights reserved.